Calling all Swingers...This year may be the best year to swing up a Rogue Winter Steelhead! 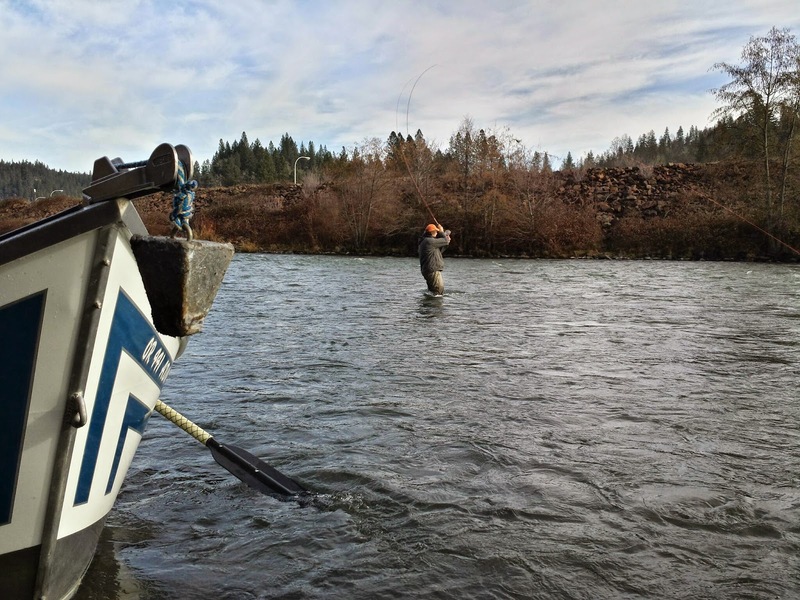 All the conditions are coming in line... tons of fish, higher than normal winter water temps, and river flows that keep it the beautiful steelhead emerald. 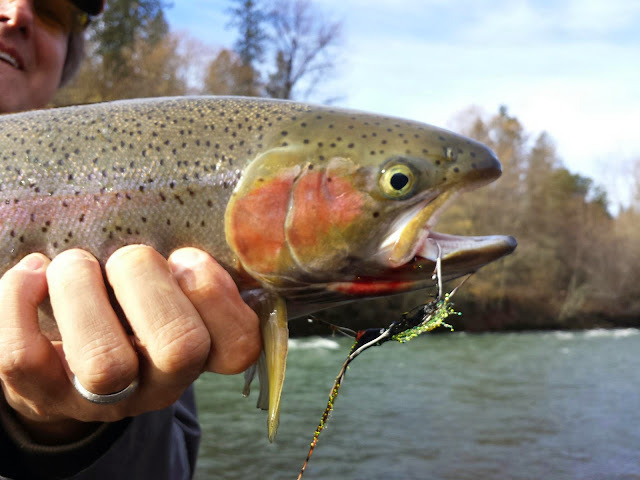 We have had good success swinging for the aggressive winter fish and they shouldn't even be here in catchable numbers yet. If your trying to shake off the winter blues look no further than the Rogue! If you need help we still have a few dates open, but act fast as they will fill fast as the word gets out. 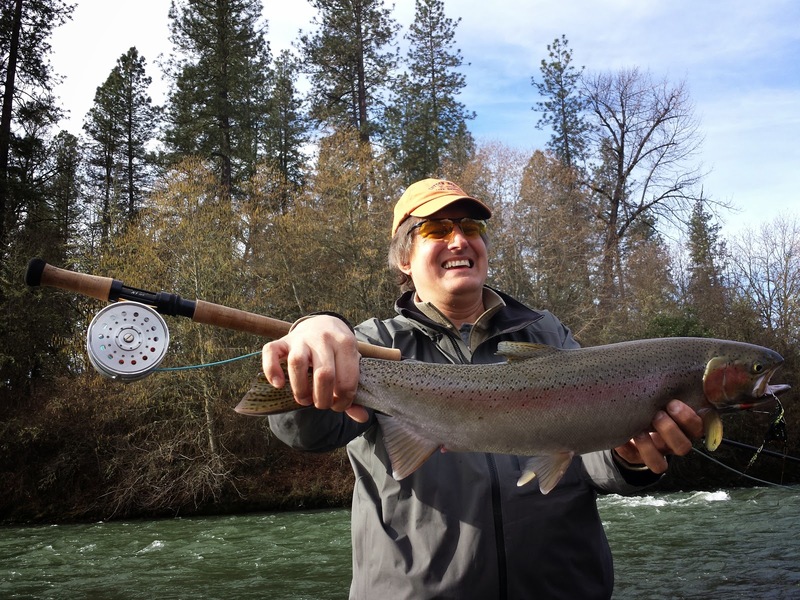 The Rogue River will put a smile on your face! 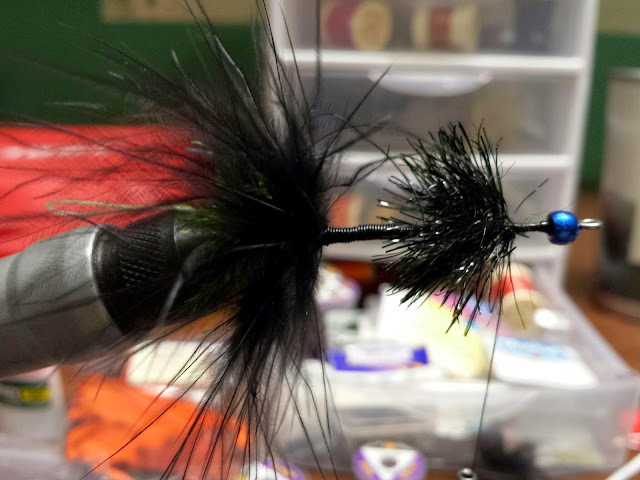 Nate's Wired Rogue and Winter Steelheading, what a mix! 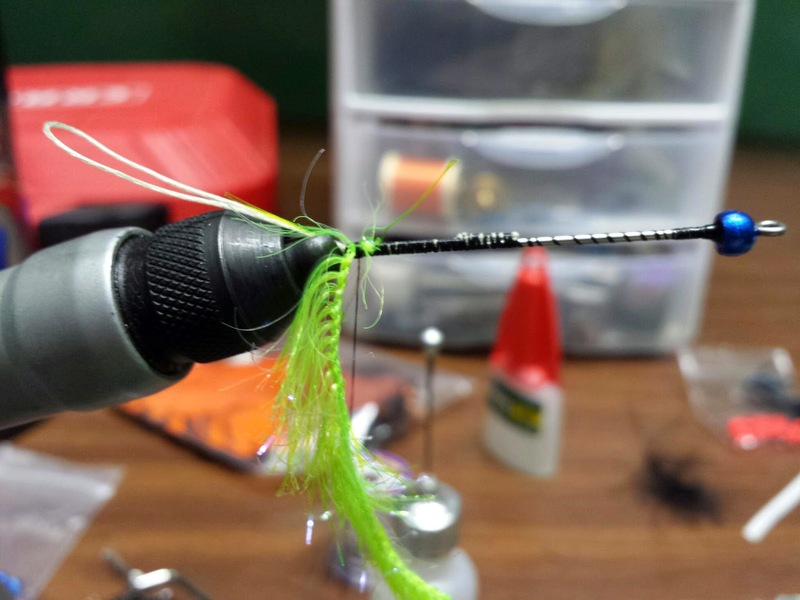 Big flies swung slow seem to be the winter fix. 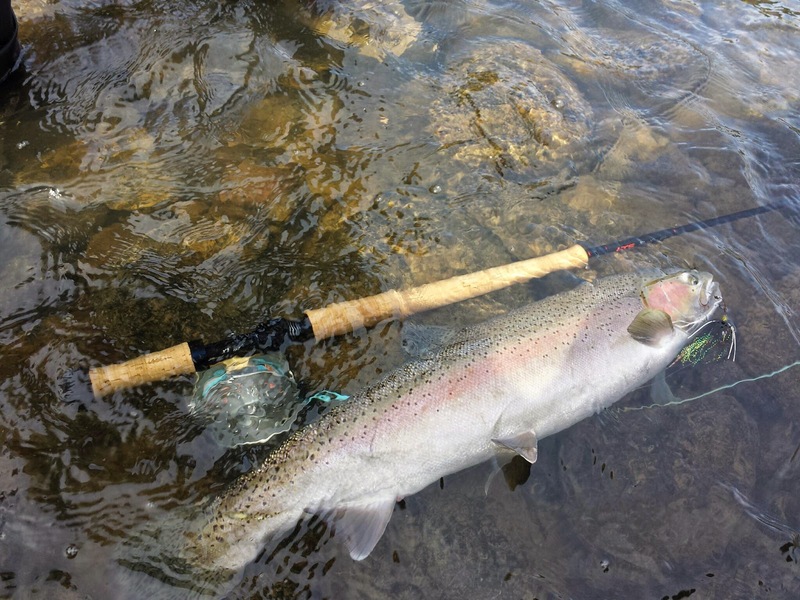 I have combined several fish catching attributes into one burley steelhead killer. Give it a try on your waters. 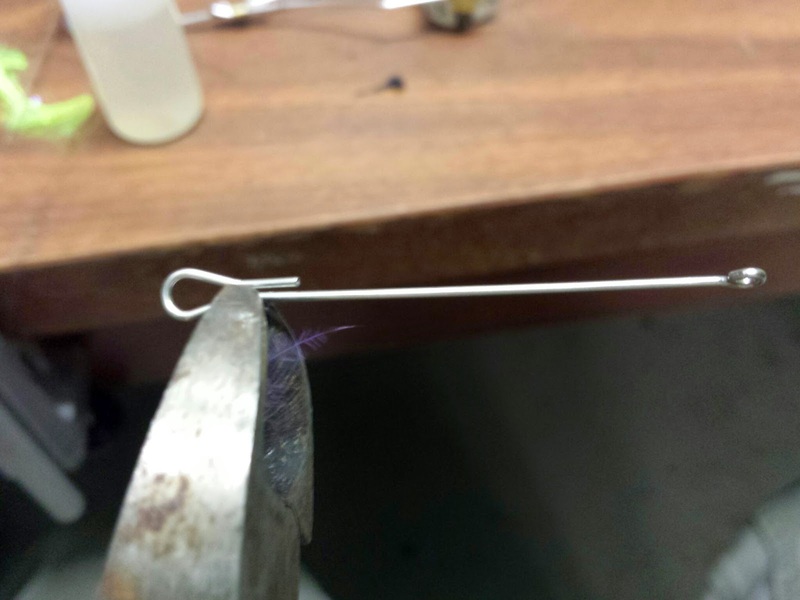 Knip the shank at the bend. Hackle wrap a large black Marabou, add a black wired body, then create a Black ice Chenille ball. 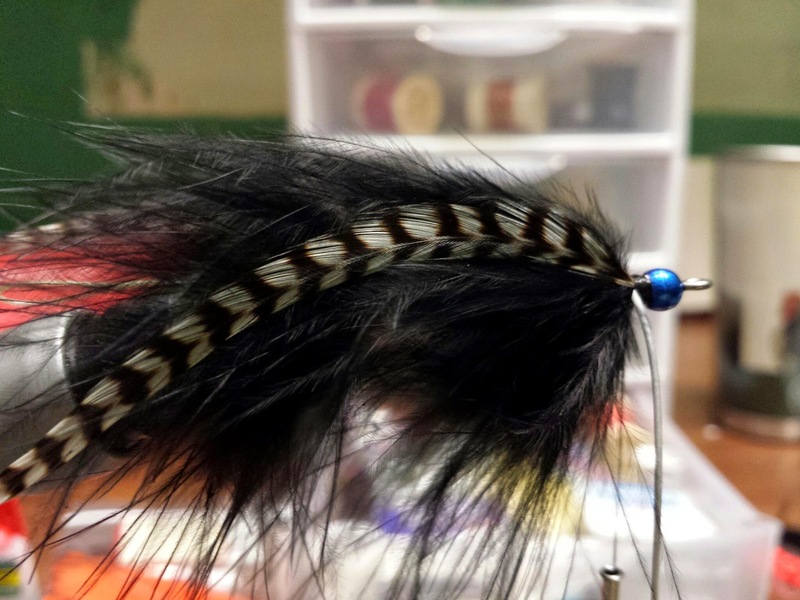 Hackle wrap another black marabou, add rubber legs of your choice, and tie in a long saddle hackle leg. 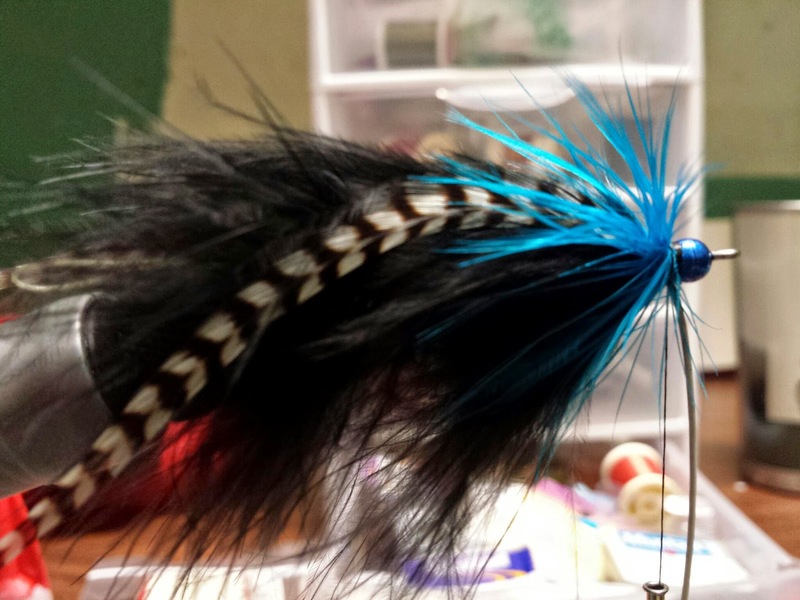 Wrap in a large webby hen hackle the same color as your bead and whip finish. Now you have a deadly mix of color and movement that will drive even the mellowest Rogue Steelie mad. Tight Lines!